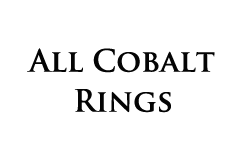 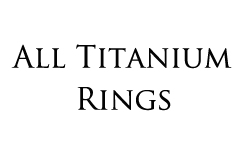 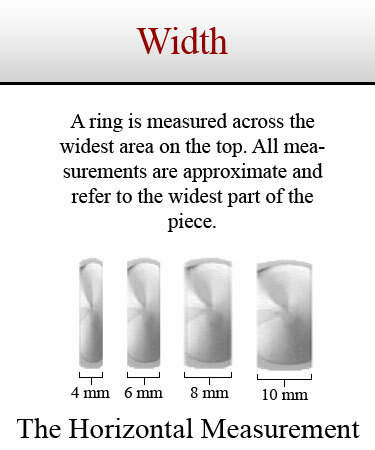 An example of modern craftmanship. 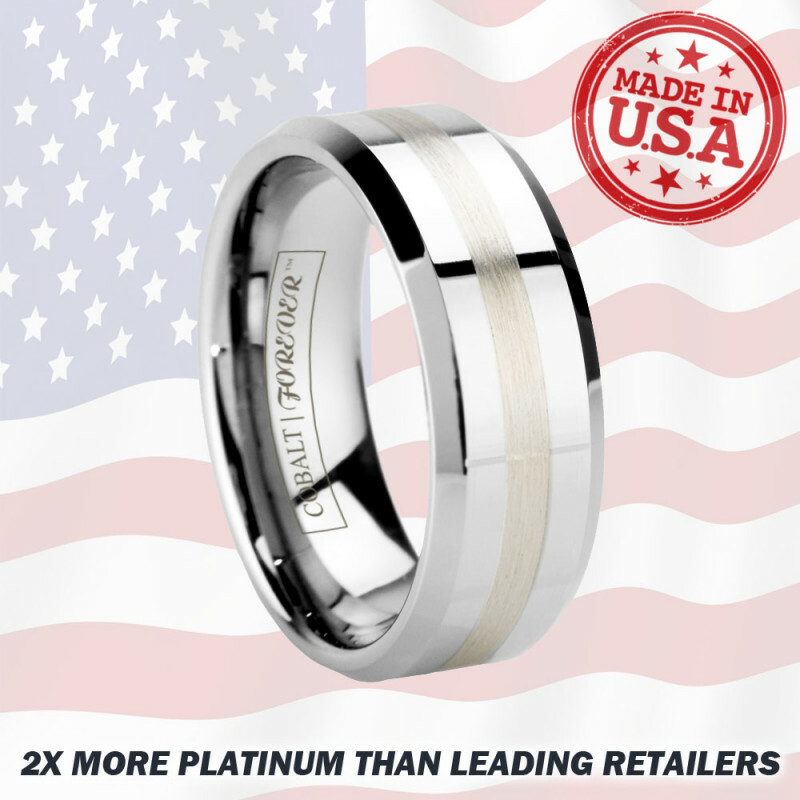 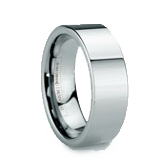 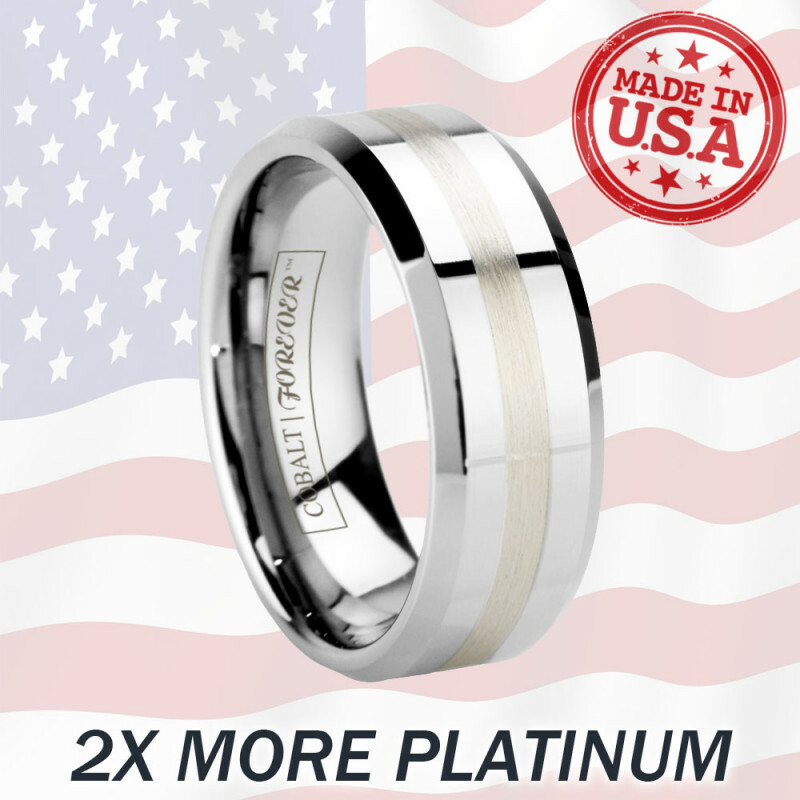 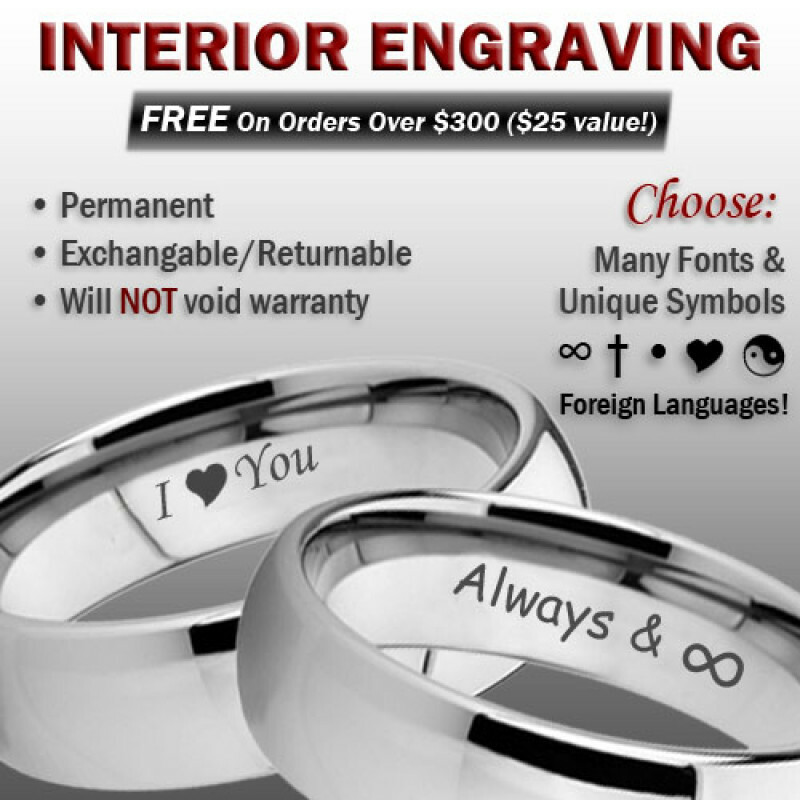 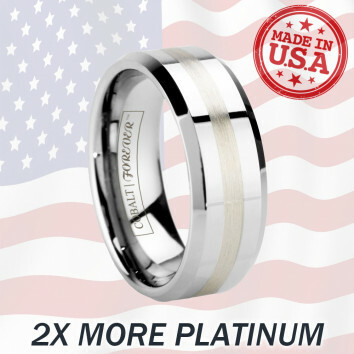 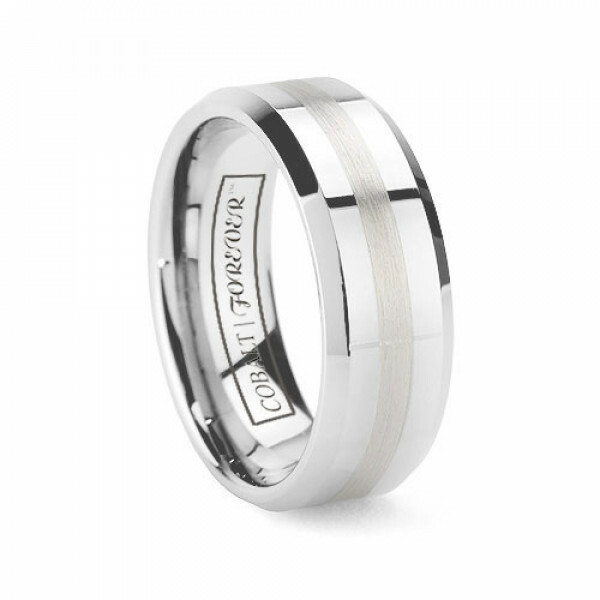 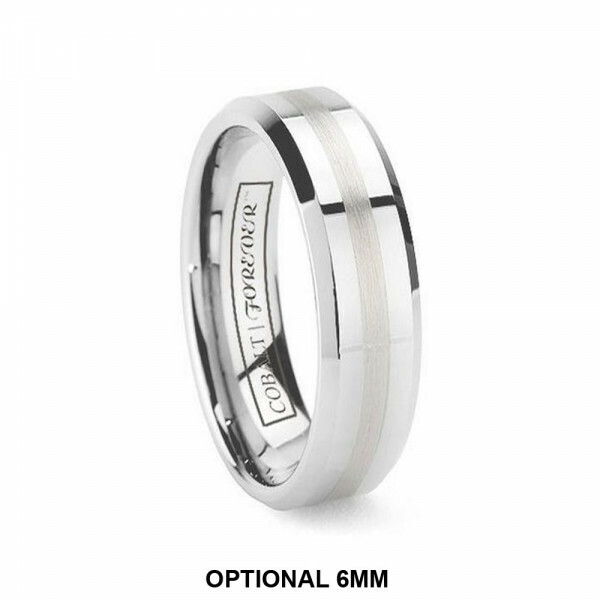 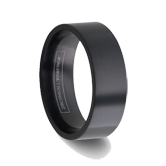 This made in America cobalt chrome wedding band has expertly beveled edges framing a 2mm wide platinum 950 inlay. 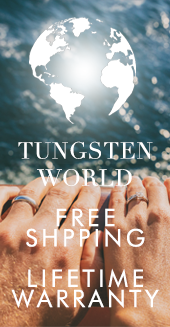 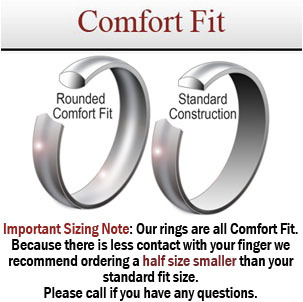 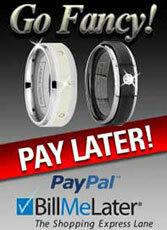 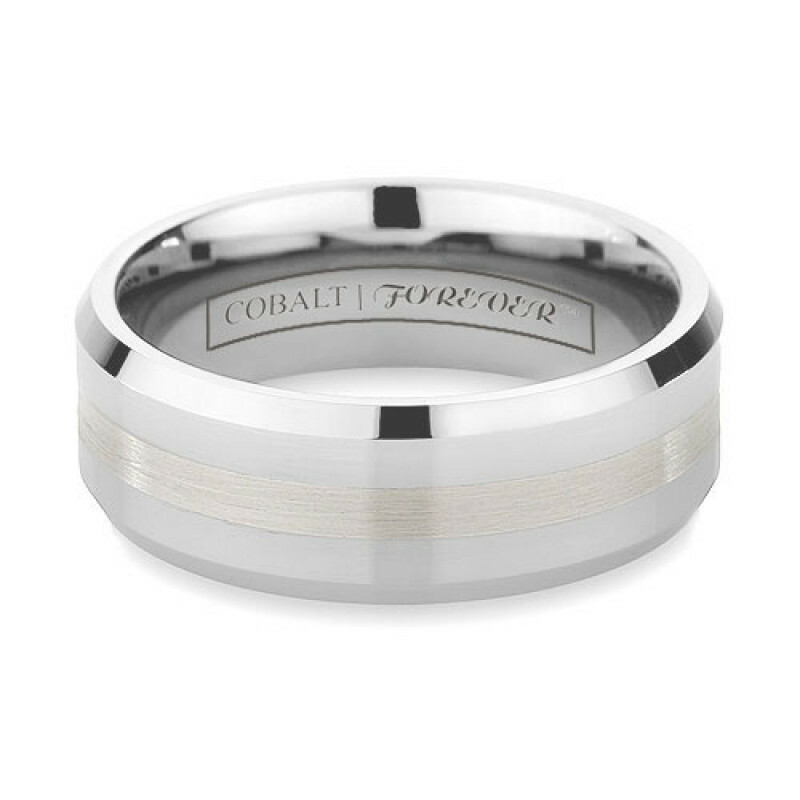 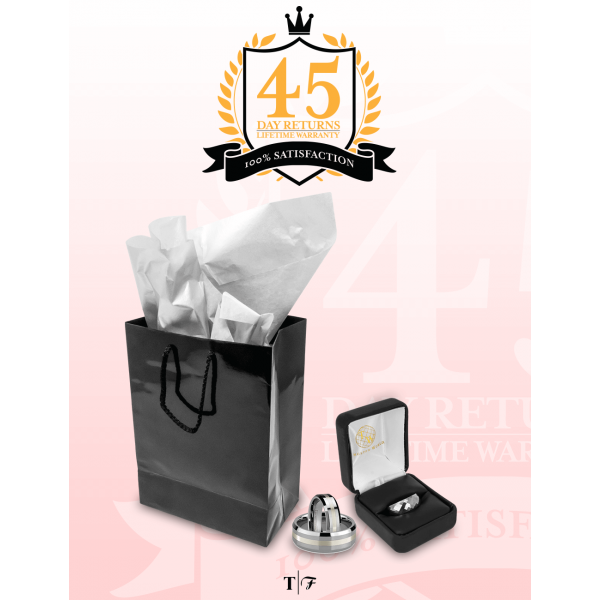 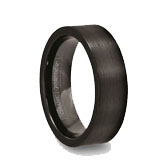 A top of the line wedding ring, this cobalt band is worthy of the one you love.